Whistler Blackcomb has been getting hammered with snow all week and it seems like everyone – from pro athletes to politicians – have been hitting the slopes to get their winter fix. And this week, that has included Prime Minister Justin Trudeau. 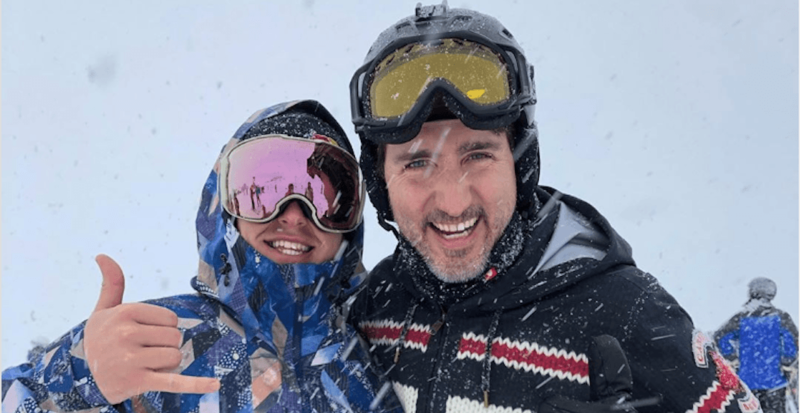 While rumours were swirling that Trudeau was in town, there seemed to be little proof of it – that is, until none other than pro snowboarder Mark McMorris shared a photo of himself with Trudeau during which McMorris described as a “pow-filled morning” at the mountain. Trudeau isn’t the only big name that’s enjoying Whistler these days. Aquaman, aka Jason Momoa, was just spotted on the slopes too. Following what it described as a record-breaking snowfall for the month of December, the mountain received around 74 cm of snow between Wednesday afternoon and Thursday this week, resulting in a highway closure and gondola shut downs.